I work with autistic children ages three to 18 in a “kindness first” manner, using fitness to create building blocks for self-esteem, self reliance and social interaction. I am Founder and Director of the ASD (Autism Spectrum Disorders) Fitness Program at 92Y in New York. I also am affiliated with The Seaver Autism Center for Research and Treatment at the Icahn School of Medicine at Mount Sinai Hospital in New York. My individualized fitness programs have been proven to help autistic kids expand their capabilities and overcome challenges to learning, performance and socialization. I enhance physical abilities and achieve empowerment with fun, laughter, goal setting, visualizations and positivity. OUR GOAL IS TO GIVE A CHILD THEIR INDEPENDENCE AND IMPROVE THEIR SELF-ESTEEM. WE DO THIS. BY IMPROVing MOTOR SKILLS, STRENGTH, AGILITY, SPEED, BALANCE, ENDURANCE, FLEXIBILITY AND RESPONSE TO SENSORY STIMULATION. I’m Kim A. Weiss, Director of the ASD Program at the 92Y in New York City. I also work with private clients via this website. I provide comprehensive programs for children and young adults three to18 who are on the spectrum. In addition, I am a Special Olympics Coach helping special needs teens reach their dreams. I have been working with special needs adolescents and teens for over 25 years. My expertise is in creating goal oriented, individualized physical fitness programs. Beyond exercise, I help to create a sense of value, accomplishment and self-worth. These are building blocks to self-esteem, self-reliance and social interaction. Every one of my programs is based on the singular characteristics of each child, taking into account their personal physical and developmental skill set. I received a Bachelor of Business Administration at George Washington University in Washington, D.C. I earned my Personal Training Certification from the American Council on Exercise. My numerous certifications include Autism Fitness, Sensory Behavior and Skill Management, Functional Movement, Flexibility and Mobility, TRX Pro. Elizabeth Pruzinsky is our Director of BCBA, NYSLBA. She has been working with children of all ages and skill levels and their families for over ten years. She received her Bachelor of Arts in Psychology from The George Washington University in Washington, DC, her Masters of Science in Teaching, with a focus on special education from Pace University in New York, while completing The New York City Teaching Fellows, and a graduate certificate in Applied Behavior Analysis from Hunter College. Elizabeth’s background includes work in public schools, private schools, and developing and running home programs. Her areas of expertise include behavior management, functional behavior assessment, discrete trial training, creative academic approaches, staff training and management, and ABA program development and implementation. Children and young adults on the spectrum are kids just like all kids. They can play, run, shoot baskets, kick a soccer ball and play catch, just like their counterparts. They just need to be taught in an adapted fashion. You will see positive changes in as little as eight weeks. Children on the autism spectrum can achieve fitness! We adapt each child’s lessons to help them develop and expand their capabilities. For example, when we teach your child to play baseball, we start with teaching them to run from home plate to first base. The bases can serve as visual cues. Arrows can be used to point out the right direction to move around the bases. To reinforce the behavior and incentivize them to continue, a reward as simple as a sticker, a high five, or other reinforcers may be needed at the end of a successful run. Every one of the ASD children we coach is different. We don’t have a “program” of autism fitness. We view autistic children’s behavior as statements of their needs. Therefore, we focus on the whole child and develop an individualized program to move the child beyond perceived limitations. We create individualized programs for each child to improve motor skills, strength, agility, speed, balance, endurance, flexibility and response to sensory information through exercise. We assess each child’s current fitness and wellness level. We identify physical imbalances, strengths and weaknesses. We focus on the unique challenges facing each child. Using compassion, consistency, and appropriate rewards. Then we set and monitor individual short and long term goals. Exercise helps improve strength and so much more. Children on the autism spectrum and those with developmental difficulties that affect their performance and socialization can benefit from the fitness programs we create with care and kindness. Children we work with often show positive results in as little as eight weeks. This covers your child’s learning style (tactile/kinesthetic, visual, auditory); attention span; academic strengths; most effective reinforcements; physical health including medical conditions, allergies and physical limitations; communication skills; emotions and behaviors; and sensitivities. Our programs work to enhance physical abilities and achieve empowerment through goal setting, visualization and positivity. My fitness evaluation assesses the wide variety of behaviors that children on the spectrum exhibit. We examine your child’s body image, movements and functions of the body parts in relation to each other and other objects, dynamic balance, gross motor coordination, visual motor control, hand-eye coordination, loco-motor movement, rhythm and visual motor control, full body strength, and advanced coordination. I have never met two children on the spectrum who are alike. Each has his or her own responses to sensory information and each has a unique personality. I take the whole child into account to develop an individualized program. How Exercise is Building Robert’s Skill, Strength and Self-Esteem. The most important goal was to give Robert a better sense of himself. Like many children on the spectrum, he did not know how strong or athletic he could be. His self-esteem was low, and he was sure he would not be able to complete any of the evaluation areas in proper form with correct posture or ability. Robert showed an interest in basketball during his first session. As his running skills developed, they were integrated into basketball. His running form went from heavy footed, bent at the waist with arms flying about to running with improved coordination, proprioception and motor skills. He was soon able to move to running on the treadmill and then to the track. This is helping to develop his capacities in dynamic exercises. Perhaps most importantly, he is proud of his own achievement. To help Robert progress and advance, strength training was added four months into his training. The result is the building of muscle coordination that is critical for his future physical development. He is currently working on developing the ability to do pull ups. Robert was unable to do one push up in his initial assessment and not one sit up. He can now do three sets of 10 of both. We’ve added jumping jacks, hopping on one foot, ladder drills with jumps and hops to warm up before he runs. Running will soon begin on the skill mill, a treadmill in which the runner is the electricity. This challenging running task takes strength, power and coordination. Self-esteem and his belief in himself are Robert’s biggest triumphs to date. How Fitness Is Helping Julian Overcome Physical and Emotional Challenges of Autism. Exercise helps balance and coordination. When he began my Moving Beyond the Spectrum fitness program at age six, Julian faced many challenges. His parents wanted him to learn to engage in reciprocal ball play and follow directions in sports. They hoped he could become able to balance on a scooter and a bike without falling. And, perhaps most of all, they wanted him to be able to interact and play with other children. Besides his initial lack of physical coordination and body awareness (proprioception) Julian suffers from Hyperacusis, a hearing disorder that plagues some children on the autism spectrum. It makes it extremely hard to deal with everyday sounds. While other people may not even notice, certain sounds seem unbearably loud to Julian. My assessment of Julian included a posture, core and movement screening, using the balance beam, ball skills, hopping, jumping, running, crawling and coordinated movements. Completing a full assessment for Julian proved demanding and tiring for him. The new noises he was unfamiliar with and new surroundings created distraction after distraction. Moving at his pace to keep his attention focused was a contest of wits. A year later, at seven years-old, Julian runs across the gym when he arrives, eager to exercise. 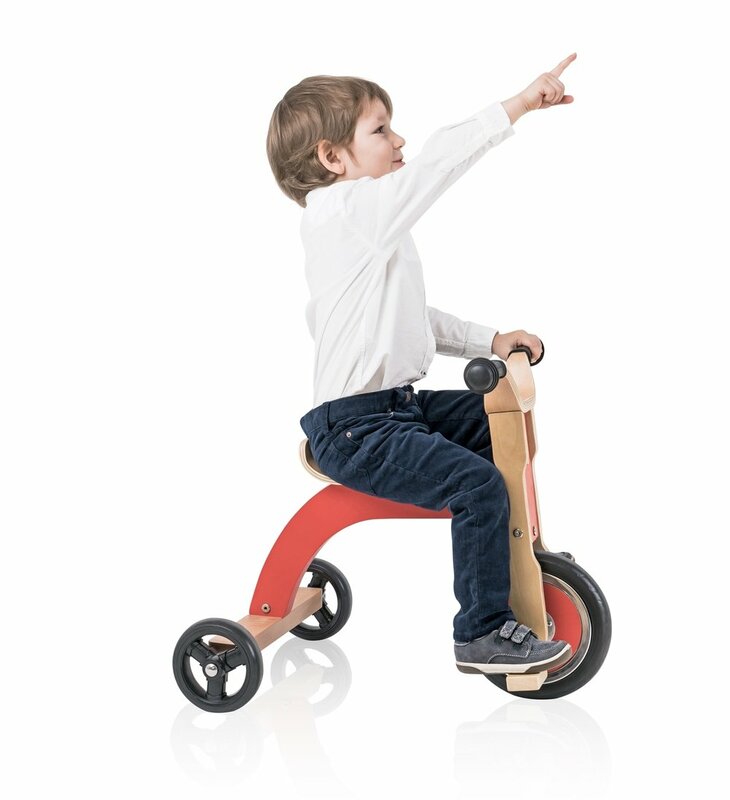 He rides a tricycle with full command of his space; able to turn corners and follow straight lines. Julian can balance completely both on the stairs and on our imaginary balance beam. And he can catch a ball up to 15 times in a row. One of Julian’s biggest accomplishments in the past year is dealing better with his hyper-sensitive hearing. He understands that other people don’t hear many of the noises he hears. He could be distracted just by the sound of other kids having fun, or the air conditioning kicking in, or people chatting. With acceptance that has changed his life, Julian knows that the noises don’t have to prevent him from continuing a task. He can now do running drills to cones of different colors, throw a ball to a target and not just to a recipient. While he couldn’t perform the coordinated movement of one jumping jack, he can now do up to four. One of his major behaviors before and during his exercise program was to exclaim happiness by screeching or screaming. Julian has made extraordinary progress in the use of words to express his emotions. His parents call his progress remarkable. At the end of each session, Julian is rewarded with final exercise of choice. Unimaginable a year ago, his choice is always running with as many as three or four other children. Yes! I want Help for my child! When Lolly, who is 11 years-old, started my autism physical fitness training program, she said she was interested in physical exercise. But, like many children on the autism spectrum, her inability to focus or adapt to a new task or position presented challenges. In order to develop an individualized fitness program, with short and long-term goals, I begin with a thorough assessment that includes testing motor skills, strength, agility, speed, balance, endurance, flexibility and response to sensory information through exercise. Assessments are repeated every six weeks to track progress. We began with a plan to improve Lolly’s balance. All physical activity requires one to have balance. From sitting in a chair to walking to the subway or getting a glass of water, balance is a required functional movement. In some autistic children, lack of balance becomes a strong disability. Fortunately, physical fitness can vastly improve this issue. Because Lolly’s inability to balance was severe, our first goal was improving her posture, including her walking and running gait. Her ability to watch where she was going while walking was a serious challenge. Lolly also has skeletal issues with her feet that are a deterrent to her ability becoming an athlete. However, with continued emphasis on walking in straight lines without tripping and losing direction she began to increase her overall ability. I give all my athletes homework to do. For Lolly, that consisted of practicing walking heel, toe, heel, toe down the hallways of her apartment until she could achieve this without touching the adjacent walls. She was soon using her new focus skills to watch her steps, looking forward and then down again at her feet. The next goal we set was standing on one foot. We began with one to two repetitions of Lolly balancing on one foot for 30 seconds and then switching feet. Achieving these simple goals builds self-esteem and proprioception (often referred to as the sixth sense) of her own body parts working together. The next exercise we do is standing on a Bosu ball, which forces the brain to work to balance. Her initial response to standing on the Bosu Ball was pure fear of falling. Now, she loves to show off how she is able to stand on one foot at a time with good balance. Keeping her feet straight while walking is an ongoing, but greatly improved achievement. Lolly has improved consistently since in the three and a half months since she started my autism fitness program. She has increased her coordination and ability to stay focused and on task for each activity. She now rides a stationary bike for a solid fifteen minutes, and she even requests exercises she’s learned since we started. She giggles and laughs and has made several associations at the gym. When an autistic child begins to gain self confidence and physical skills, family milestones follow. Her ability to go the gym and go on the treadmill by herself and then join her mother for a Sunday morning of mother/daughter time together was a huge change for the family. Our next goal for Lolly is to continue enhancing her functional movement skills. We also want her to be more cognizant of her posture during active daily living movements. Ten year-old Aiden’s demeanor is exceptionally happy and sweet and he is creative and curious. He is interested in music and movies, and he loves to sing. Like many children on the autism spectrum, when he began the program in April 2018, his endurance was short and his posture was poor. His muscle coordination was deficient in both fine and gross motor skills. Based on a formal assessment and observation of Aiden in action, I observed that his ability to follow directions required visual, verbal and tactile cues. I developed a fitness program specifically for him, taking the full child into account. 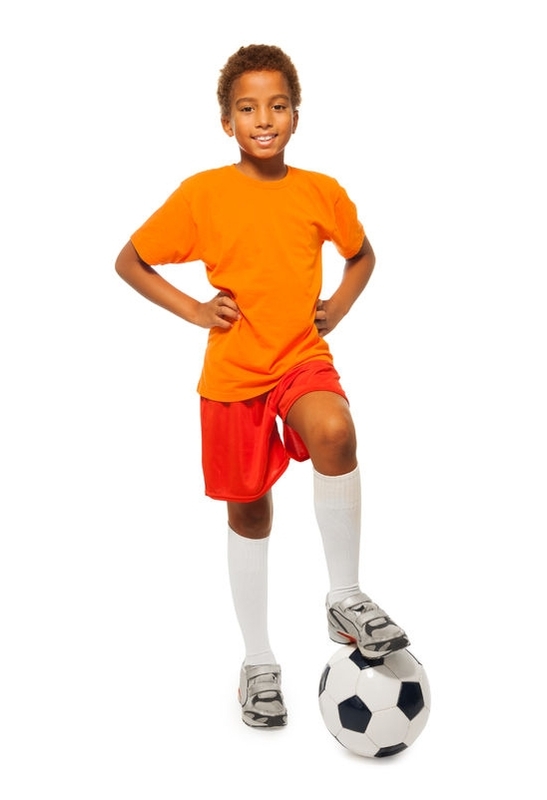 My initial goals were to get him comfortable moving his body in a physical manner, increasing coordination, strength, balance, mobility and ball skills. Aiden needs to increase his endurance during physical activity. At the beginning of his fitness training, Aiden tired easily when he was not fully engaged in an activity. Now, when the action, movement or exertion is one he chooses, his enthusiasm is accompanied by his singing. Aiden is now able to run in a straight line as well around a track. His posture has vastly improved. He has grasped the hand and arm form needed to run correctly. He is still working on foot and hand coordination. He cognitively understands how this should work but is slowly implementing what he knows he can do. In short burst of activity his entire form is on task. He loses his form after about 3 minutes of running, but we’re working toward longer runs. Aiden is using light weight training to build his strength and enhance the development of fine motor skills. This is also part of building his self-regulation, bilateral coordination, grasp and gross motor skills. Here’s Where we share resources for special needs children and those on the autism spectrum. We look for useful tools, interesting programs, special events and more. Your feedback and contributions are welcome. This is the largest festival in the country dedicated to promoting awareness and appreciation of the lives, stories and artistic expressions of people with different abilities. The weeklong festival is renowned for its wide-ranging international film selection, riveting conversations, and performances, presented annually in dozens of venues across the New York metropolitan area. All venues are wheelchair accessible. The festival takes place April 2 - 9, 2019. “This year is not only our largest festival, but also our most accessible to date as we continue to raise the bar on inclusive forms of film presentation,” says Isaac Zablocki, director and co-founder of the festival. The Whitney invites families and caregivers with kids on the autism spectrum to join in sensory-friendly gallery activities and a hands-on art-making workshop before the Museum opens to the general public. During this drop-in program, families will explore a currWhitney exhibition and create their own art inspired by works on view. Saturday, April 6 and Saturday, June 1, from 9:30 a.m. - 11 a.m. Registration is required. Morning at the Museum for individuals with cognitive and sensory processing disabilities. This program provides early entrance, pre-visit materials for participating families, a gallery scavenger hunt, design activities, and a “take a break” space. Yes! I want help for my child on the spectrum! 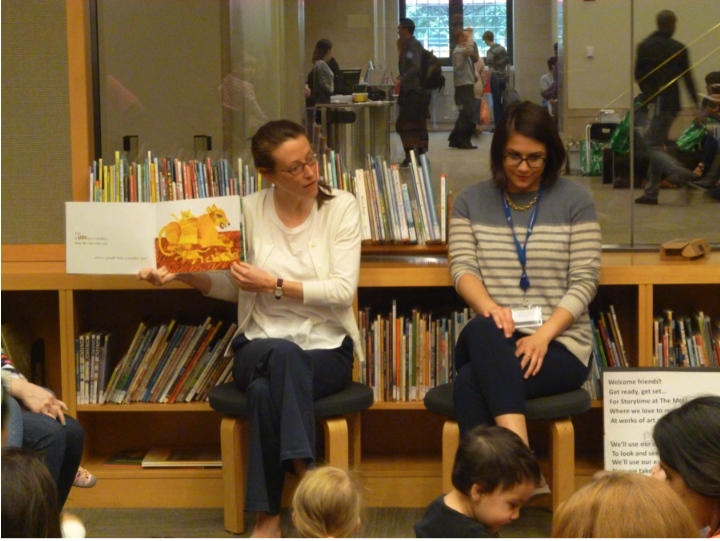 A social narrative for coming to a sensory-friendly Storytime program (PDF) including different stories and questions about the stories. The group will sing songs together and act out different movements. Let's talk about your child on the spectrum. Contact me. 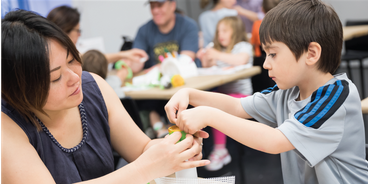 CMA’s Inclusive Saturday Classes provide a free opportunity for children with an Autism Spectrum Disorder and their family and friends. 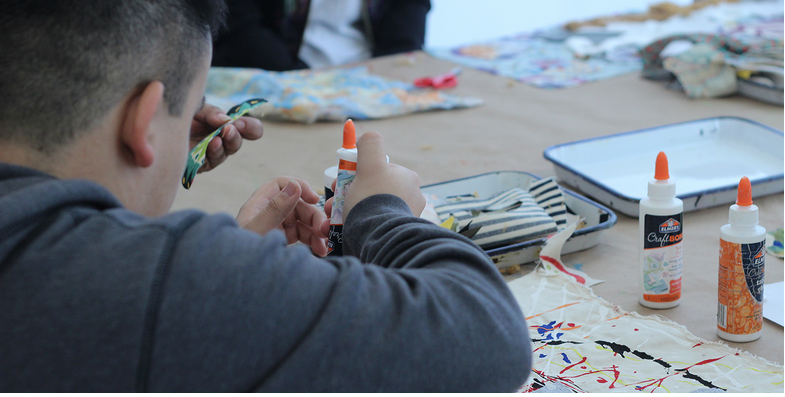 CMA Teaching Artists are trained in facilitating structured workshops are specifically designed to help children with autism develop social skills, creative problem-solving, and expression through art. The program’s supportive environment also helps strengthen family ties and builds a sense of community for families affected by autism. In these workshops, children and their families and caregivers explore different art mediums. This class focuses on sensory experiences while building motor skills, self-regulated independence and social skills. Families also participate in music, and movement exercises. These workshops use art and technology to build peer-to-peer relationships and digital storytelling skills. Families look closely at an exhibiting artwork for inspiration for their collaborative film. Students incorporate a variety of animation and sound techniques while exploring various art mediums. Workshops are held from 9:30 to 10:45 a.m. Registration information is here. The Sensory Room is an inclusive space where children of all abilities can engage with their peers and explore their senses. Sessions in the space are balanced between self-guided exploration of the space and a facilitated program by one of BCM’s Educators. The program might include story time, a song session, parachute play, or meeting one of the Museum’s live animals. This room was created with an advisory committee of scholars and professionals with experience serving children with Autism Spectrum Disorders (ASD). All are welcome in this space, please let the Educator present know if your child has particular needs or sensitivities. Sessions are be offered 2:00-2:30pm, 2:45-3:15pm, 3:30pm-4:00pm, 4:15pm-4:45pm. Space is limited to 10 children and their caregivers for each session, first come, first served. Let’s discuss the challenges and goals of your 3 to 18 year old child or young adult on the autism spectrum. Our first meeting will include a thorough assessment of your child’s physical and emotional health. Yes I want Help for My Child!